Last December, this writer found an excellent book review by Dave Stewart for a biography on Jamie Lee Curtis. 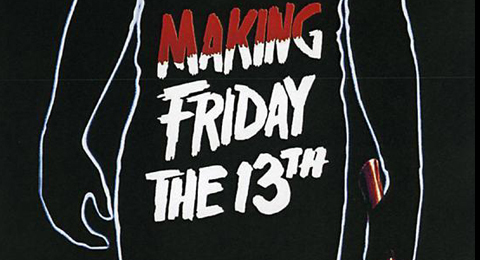 The book was written by a man very familiar to Friday the 13th fans as he wrote one of two Friday the 13th franchise retrospectives released in 2005, called Making Friday The 13th. At the end of the book review it was mentioned that Mr. Grove was prepping a new Friday the 13th book. With this exciting news, a story about the impending book was put together for which Mr. Grove contacted this writer with more details about the book and what was going to be included. Read below for a tiny excerpt. I'm planning another Friday book that will be solely about the making of the first film, the 1980 film. This will be to Friday the 13th, the first film, what the Last House on the Left book was to that film, a really detailed book on the making of a single film. This information was released at the very end of 2010 and since then nothing new had surfaced about the book. Well now David has contacted us with some new information on the book and to inform us about the progress. “I’ve started writing the book and I can say that even the most diehard “Friday the 13th” fans, fans of the first film, will be impressed by the book, which will surpass all previous retros, books, DVDs, in terms of telling the story, the real story, behind the planning and making of Friday the 13th. (In fact, as I’ve been writing, I’ve barely even looked at my previous book, since I’ve done so much new reporting, research and rare interviews). Is everyone excited to see a new book on the original film that started it all? This book promises to be the definitive look at the entire circumstances surrounding the slasher classic and it should be on every fans watch list! More news will be made available as the book progresses!